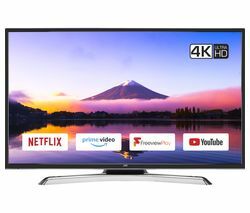 Offering high definition resolutions, including 4k Ultra HD, 3D technology for cinematic entertainment and Smart TV features that make watching TV more interactive, our range of large screen TVs can entertain the whole family. UHD resolutions bring you the fantastic detail your favourite programmes and films deserve, whilst active and passive 3D technology means that you can enjoy the magic of 3D in the comfort of your living room. There are a range of designs, from stylish TVs that suit any room to stunning curved TV screens. Curved TVs immerse you in your favourite entertainment, improving your viewing experience. Our range also includes Smart TVs that provide you with access to social media, catch-up TV, apps and much more. There are even televisions that make navigating through channels an interactive experience, with motion and voice control to make browsing simple. 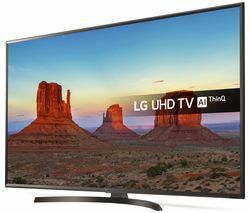 It’s simple to find your large screen TV from our range of brands including Samsung TVs, LG TVs, Sony TVs, Hisense TVs and more.